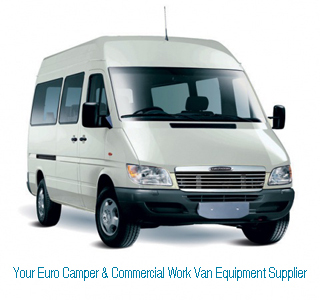 The Most Popular Sprinter Accessories Enthusiasts Site on the Web Serving over 500 Visitors per Day! This site is dedicated to assembling the best of accessories for the Dodge - Freightliner - Mercedes Benz Sprinter on offer. This is all we do. Dealers have now come to rely on us as the best single source for non-OEM aftermarket accessory parts for the Sprinter. For those customers interested in Swivel Seat Adaptors for the Sprinter we maintain a constant inventory. Orders received by 3 pm will be shipped the same day. We accept Visa, Mastercard and Discover. Only the highest quality Sprinter Swivel Seat Adapters.